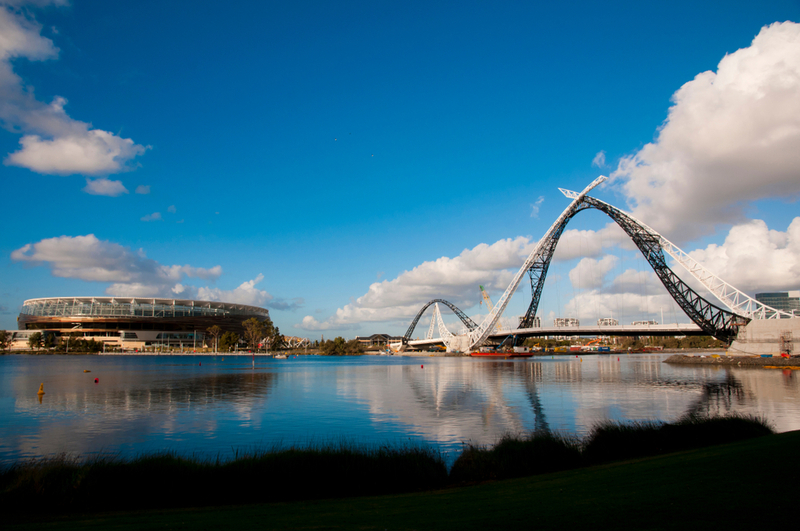 If you’re visiting Perth to attend an event at Optus Stadium it makes sense to find comfortable accommodation close by. Ideally, your hotel would be close to the Perth CBD and within easy reach of other Perth attractions while being surrounded by parklands with stunning views of the Swan River. Of course, you’d also want personalised and professional service, a clean and spacious room, and everything you need all in the one great location. If that sounds like too much to ask for then you’re in for a surprise when you book affordable accommodation at Crowne Plaza Perth. Located less than 5km away from Optus Stadium with free on-site parking and close to free public transport, a stay at Crowne Plaza is the logical choice for travellers attending events at the Stadium. As well as the convenience of being close to everything Perth has to offer, you’ll also be staying in one of the world’s biggest hotel chains, with the largest loyalty program, IHG® Rewards. With a full range of hotel facilities, your stay at Crowne Plaza Perth will be unforgettable for all the right reasons. Enjoy a swim in the 20-metre open air infinity pool to relax and re-energise after a long day, or just lounge of the sundeck and take in the views of the Swan River. For the fitness-minded, you don’t have to miss a workout while you’re travelling. Our fully-equipped, air-conditioned gym is open every day from 6.30am until 10pm for your convenience. Or perhaps take a leisurely stroll around nearby Langley Park. Stay well-connected with high-speed Internet throughout the hotel and enjoy up to two hours of complimentary Wi-Fi in public areas. You can even stay in for dinner or head to Gusti Restaurant & Bar to sample the delicious modern Australian menu and have a few drinks before retiring to your room. Your choice of accommodation will depend on who you’re travelling with and your personal preferences, but whether you book a standard room, a suite, river view, or king spa, you’ll enjoy a blissful night’s sleep on the highest quality mattress and linen. If you need to get some work done during your stay, our spacious rooms provide a peaceful work environment and an ergonomic workstation. Or perhaps you’d rather enjoy a cocktail or glass of Margaret River wine on your private balcony, watch a movie on the flat screen TV, or sit in the comfortable armchair and make plans for the rest of your trip. After an exciting day at Optus Stadium, you’ll want to rest and relax in style in your sumptuous hotel room. Crown Plaza Perth sets the highest standards in service. Located on Langley Park, we offer affordable and spacious rooms overlooking the Swan River and all the amenities you’ll need for a memorable stay. Call our friendly team on 08 9270 4200 or contact us online to enquire about our accommodation deals and packages, and you can even book online and save with our Best Price Guarantee.